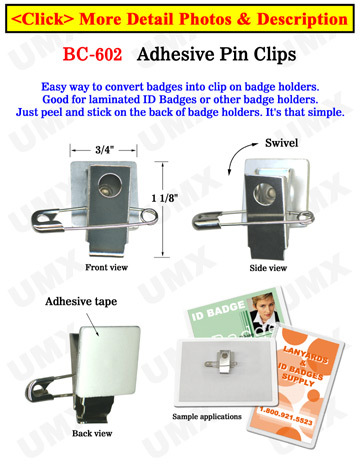 The adhesive ID clip comes with a metal safety pin and a badge clip. Simple application: peel the covering off of the adhesive backing and stick the pin-clip to the back of your name badges. This clip can be easily applied to ID cards or ID badges.